New Hearing Technology Brings Sound To A Little Girl : Shots - Health News Jiya Bavishi is one of a handful of children in the United States testing an experimental hearing device, a tiny implant in her brainstem. Jiya is now able to hear and repeat some sounds. 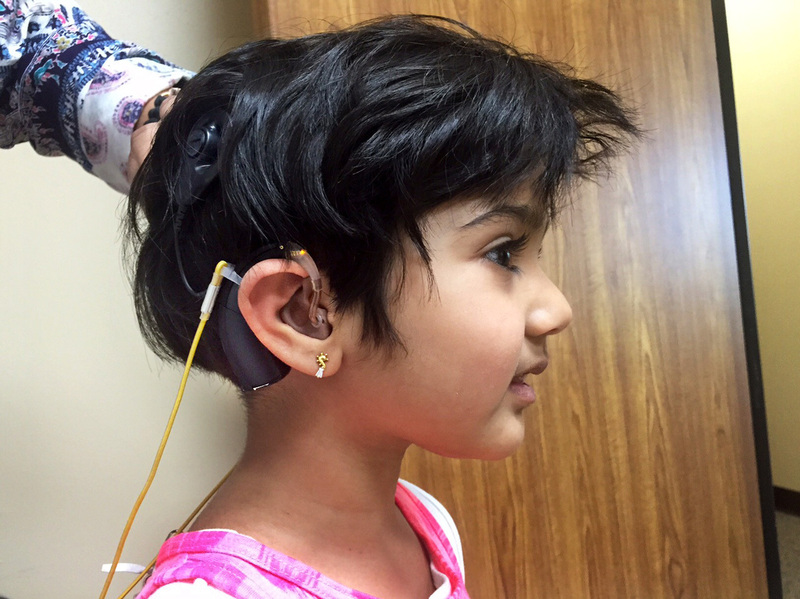 Jiya Bavishi's auditory brainstem implant is helping her hear some sounds for the first time. A microphone behind the ear sends signals through a magnet to electrodes implanted on the brain's brainstem. 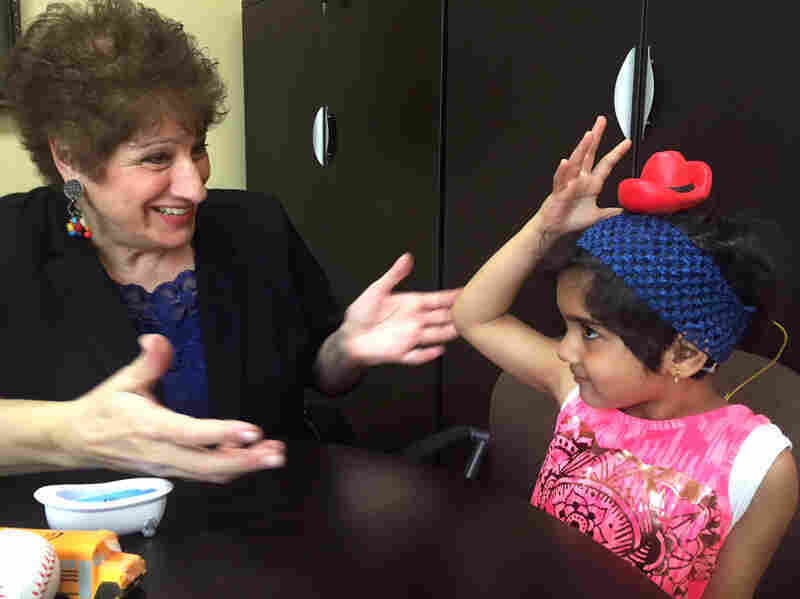 Rehabilitative audiologist Linda Daniel has been working with Jiya since she was a baby. It is a very rare procedure, according to Dr. Daniel Lee, director of the pediatric ear, hearing and balance center at Harvard Medical School. "There have been less than 200 of these implanted worldwide in children," he says. In the U.S., auditory brainstem implants are approved by the Food and Drug Administration for adults and teenagers who have lost their hearing owing to nerve damage, but they have not been approved for use in younger children. Jiya is able to hear and repeat some sounds. Therapist Linda Daniel works with Jiya on vowel sounds. "It's a rectangular-shaped element," says rehabilitative audiologist Daniel. "It has two rows of electrodes and each electrode is responsible for a band of frequencies." The electrodes transmit signals directly into the brain.